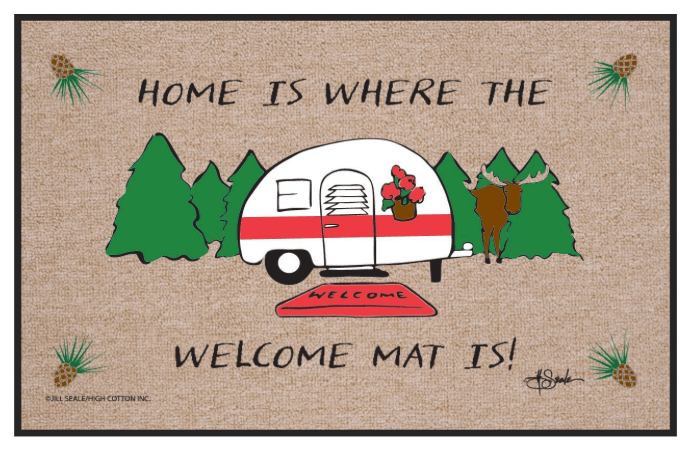 Is there a special RVer in your life who’d appreciate a tool or an appliance or other RV gift for your life on the road — perhaps a memento of your RVing adventures together? 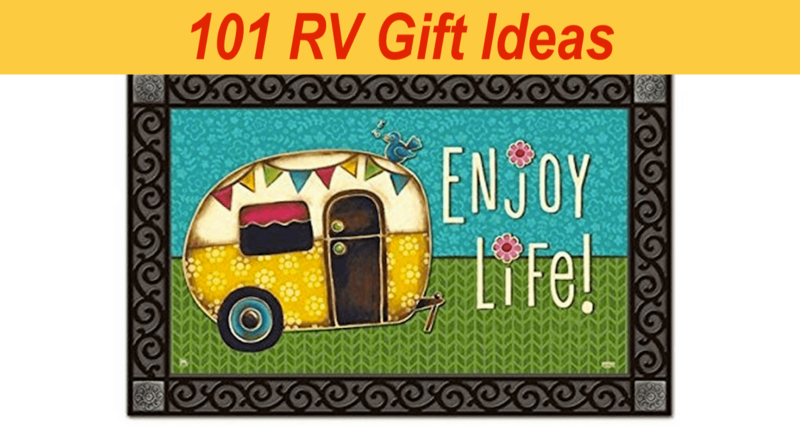 Or do you have an RV you love that deserves a little holiday gift wrapped with a bow? 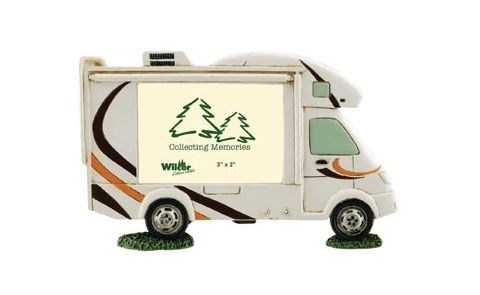 We have our own list of “must have” RV goodies, and we’ve seen some super cute RV related gifts in our travels, and this inspired me to do a little digging online to see if there might be more. Oh my, if you look hard enough there’s a treasure trove out there! I had a blast “window shopping” — here’s a list of a few things I found. If something appeals to you, click on the image or the link in the text above it to find out all the details. A warm welcome to hang on the wall. Key hooks for the motorhome and the toad too. Key hooks for the truck and trailer. One nice way to dress up the RV galley is to hang up pretty hand towels. We saw these hand towels when we visited the La Posada Hotel gift shop in Winslow Arizona and just loved them. 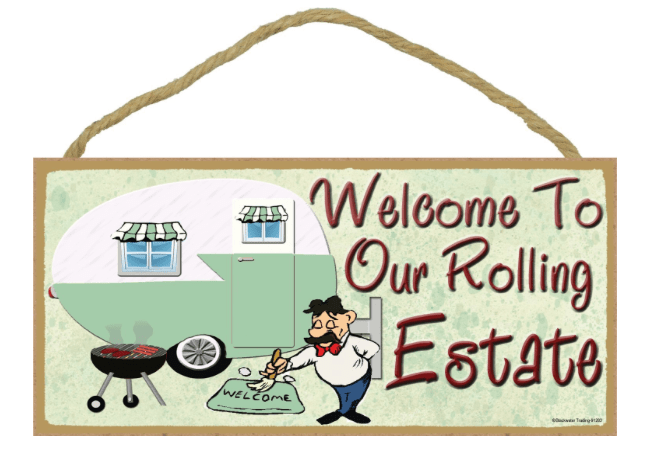 If you want to introduce yourself to your neighbors and give your RV patio a little flair, how about a personalized flag out front? A personalized flag to make introductions easy. Both can be hung on a simple garden flag pole. 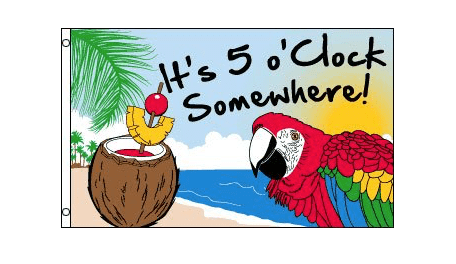 If you’re a bit shy about putting your name out in front of your rig, maybe just let the neighbors know where the party is with this “It’s 5:00 Somewhere” flag! Let the neighbors know where the party is! 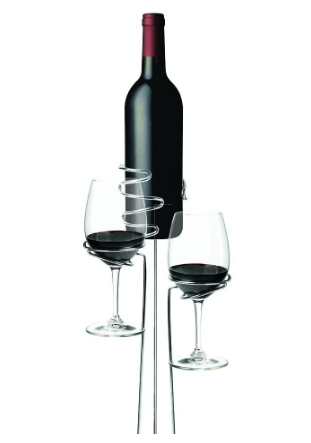 Speaking of parties, if yours tend to involve a little wine, then you might find a set of picnic wine glass and bottle holders to be just the thing. 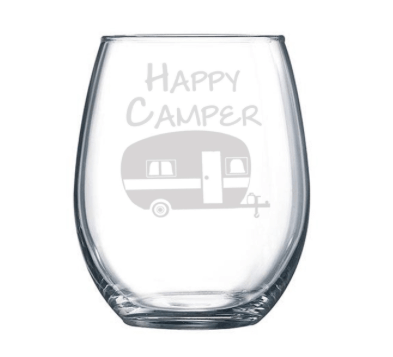 Simply shove them in the ground near your camp chairs and your wine will be safe from tipping over. No spills by the campfire! Is this you — or someone you know?? Describes every RVer, for sure! 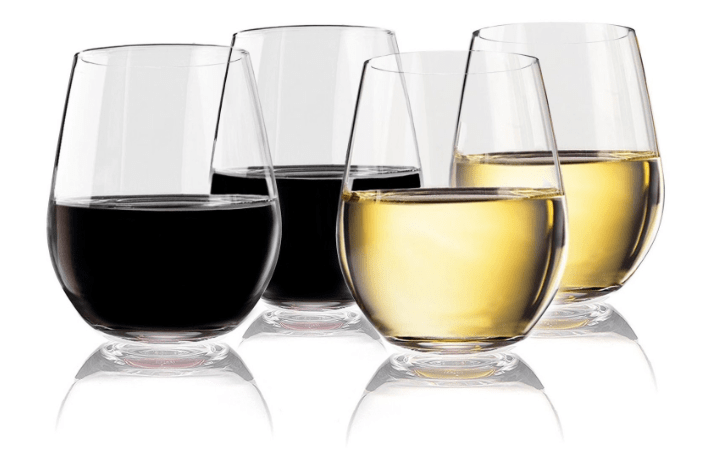 If the party gets a little wild and things go flying, then a set of shatterproof stemless wine glasses might be the answer. Shatterproof wine glasses… not a bad idea in a rolling home! 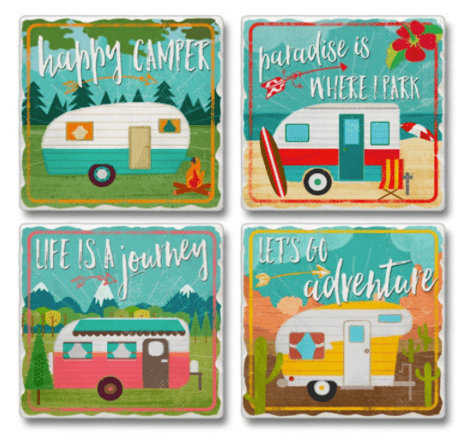 For tamer parties inside your rig, a set of super cute vintage RV stone coasters is sure to get the conversation going. If you’re serving munchies too, then you’ll definitely want to bring out the adorable RV cocktail napkins! Cocktail napkins your guests will absolutely love. 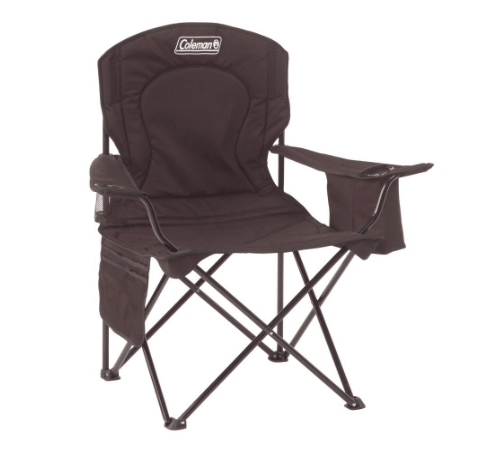 You can’t travel in an RV without camping chairs, and of course they come in all shapes, colors and sizes. 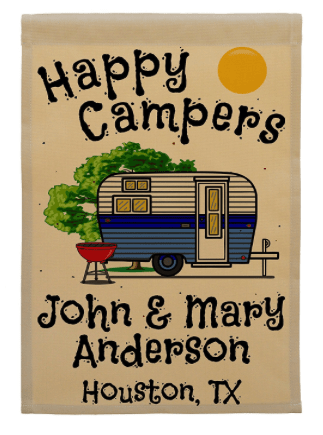 But how about a camp chair with your RV’s name printed on the back rest or with your name there?! This isn’t a bad idea if you’re headed to a big gathering of RVers in the desert in Quartzsite where lots of folks have nearly identical chairs and the chairs often stay in a ring around the campfire for days on end! 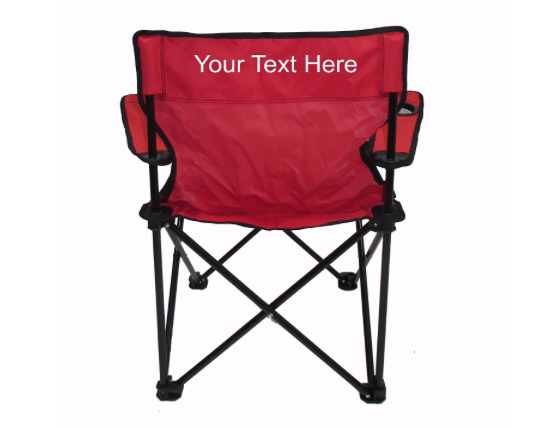 Personalized camping chair — Your name or the rig’s name?? Pockets for your drink and your book, magazine or tablet. 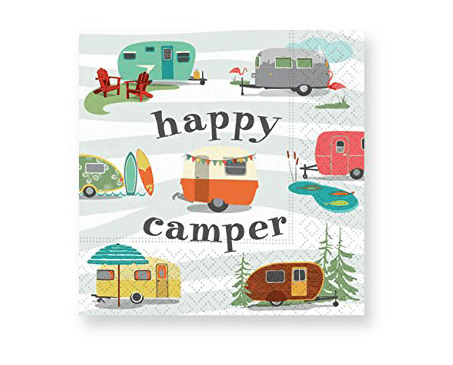 RVers frequently camp in places where you can’t have a campfire. So what could be better than bringing a portable campfire with you? This little guy runs on propane and has a nice flame. 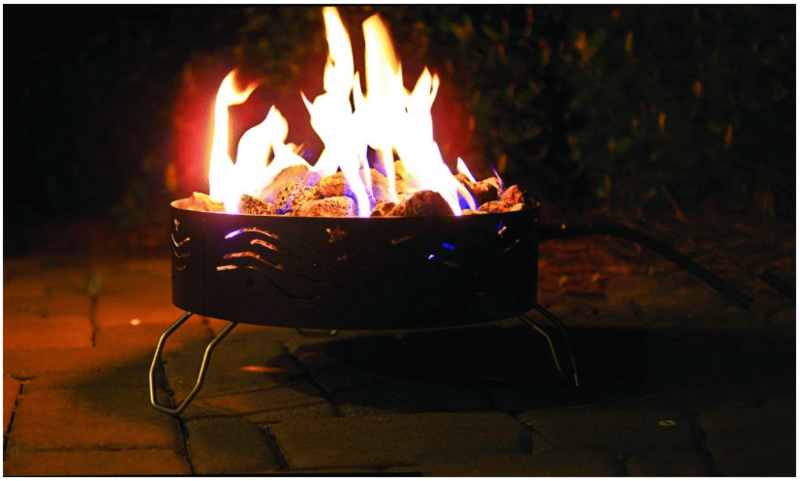 A portable campfire that runs off of propane! 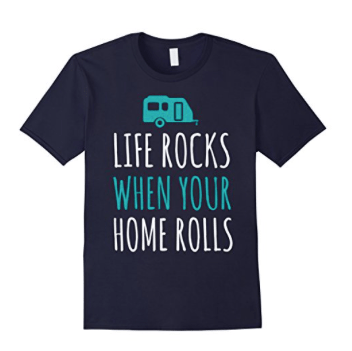 Dreaming of a big RV adventure? 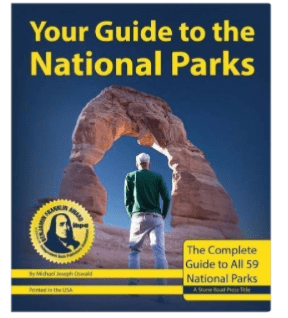 Here’s a Guide to the National Parks! 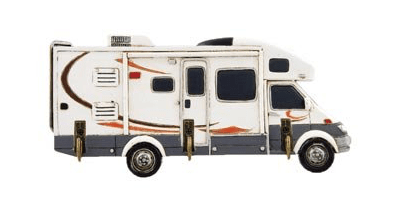 So far, we’ve been coming up with all kinds of great ideas for making that beloved RV a cozy home for living in and sharing with friends, but how about some ideas for where to travel? 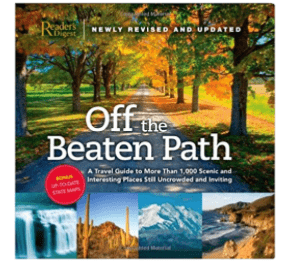 Perhaps a loved one needs some travel inspiration — how about a Guide to the National Parks? One of the best aspects of RVing is getting out and exploring the many Scenic Highways and Scenic Byways across America, whether in your RV or in your car or truck. 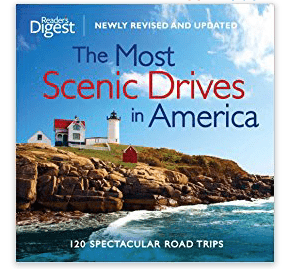 Inspiration: The Most Scenic Drives in America! Here’s an intro to a few of the most scenic drives in America. If you’d prefer to get away from the crowds and enjoy some of the less visited spots, how about some inspiration for where to go to get off the beaten path?! Leave the crowds behind and get off the beaten path! Is the Love of Your Life a little hesitant about this newfound dream of yours? 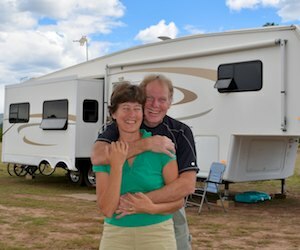 Perhaps you can win him/her over with the trick that pioneering RVer Kay Peterson used on her husband to inspire him to go RVing full-time. First step to travel adventure – an atlas! One day, when she put the sandwich she made him in his lunch box, she wrapped it in a US road map! 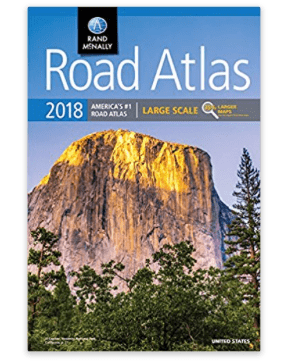 A good quality road atlas can drop a broad hint and comes in very handy for planning and hitting the road. Once you’ve been out having fun in your RV, whether you’ve been traveling for a week or for a year or more, you’ll want to keep a record of all your adventures. I still cherish the journal I hand wrote (and hand decorated with glued-in photos) of our travels in our popup tent trailer. 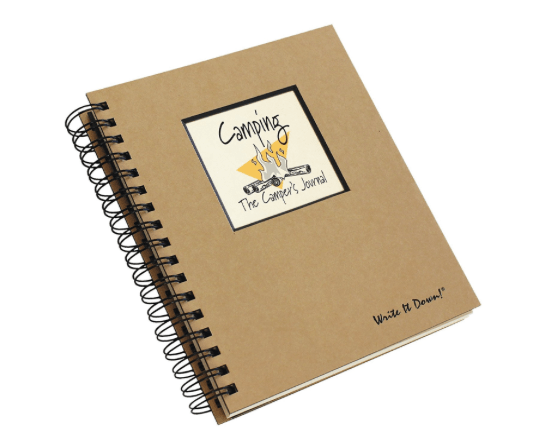 A Camping and RV Travel Journal. Lots of people wear their hearts on their sleeve, and some go so far as to wear their passions on the fronts of their shirts! 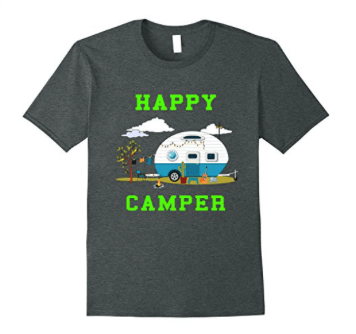 Here are a few fun t-shirts (available in men’s and women’s sizes and a rainbow of colors). 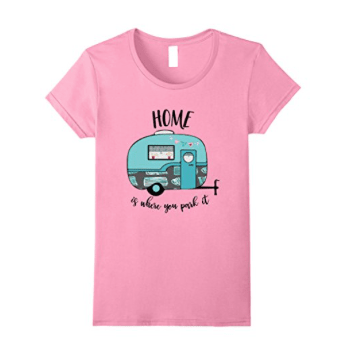 If telling the world you love the RVing lifestyle on the front of your shirt isn’t really your style, maybe curling up with some lounge pants decorated with vintage trailers would be more like it!! 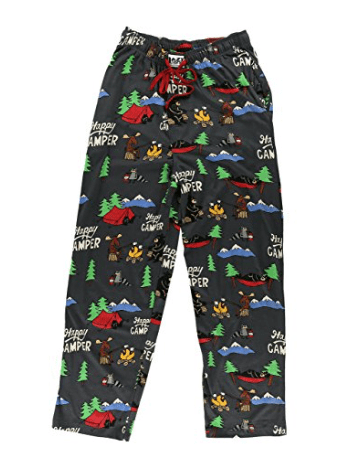 Happy camper vintage trailer lounge pants. 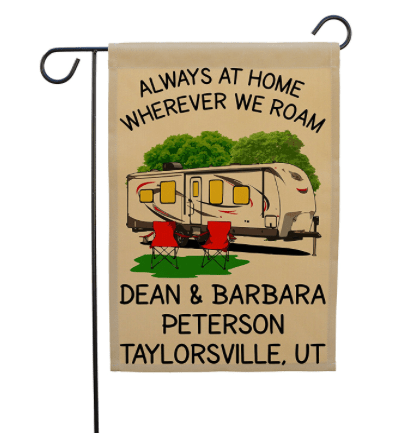 A picture frame for that memorable moment from your RV adventures. Okay, okay, enough of the cutesy RV decorated stuff. 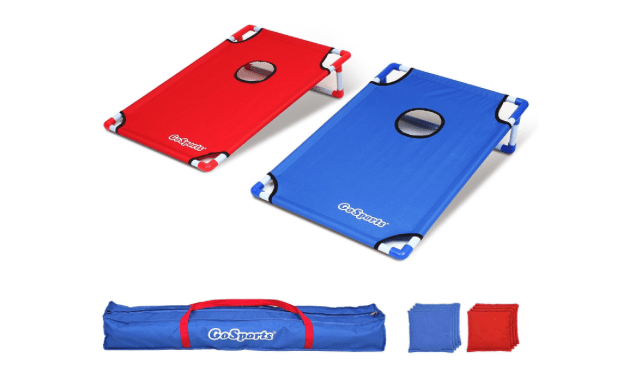 How about some practical things that will give your life on the road a little zing and isn’t something you’re likely to find at the local camping store? 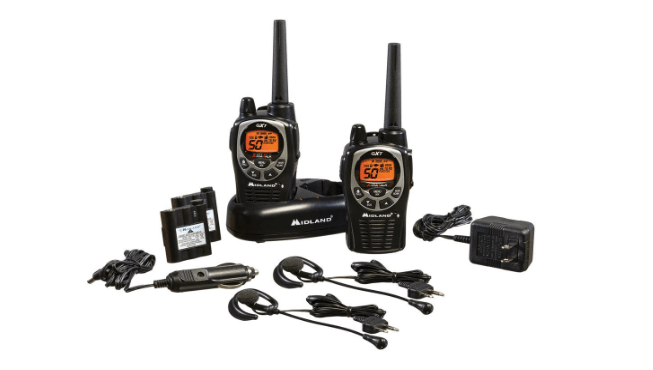 First on our list of “must haves” in our RV lifestyle is a set of two-way radios. We use these radios to help us back up and park the trailer, to communicate when hiking in glorious remote locations, and when we get separated in Walmart too. No cell phone reception needed! We have had Midland 36-mile radios since we started in 2007 and wouldn’t RV without them. 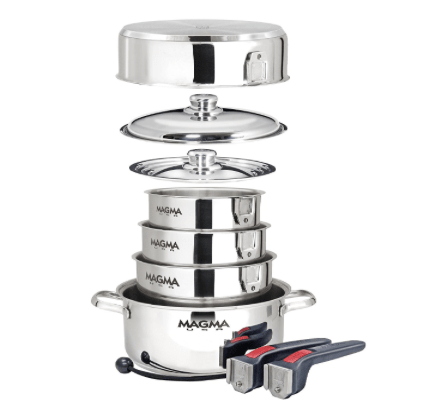 For anyone with a small RV, a top quality set of nesting pots and pans is a joy. We bought a set of Magma nesting pots and pans when we moved onto our sailboat years ago, and we still use them every day now in our trailer. We bought these pots and pans for our boat and still use them every day. The whole set fits into one pot! 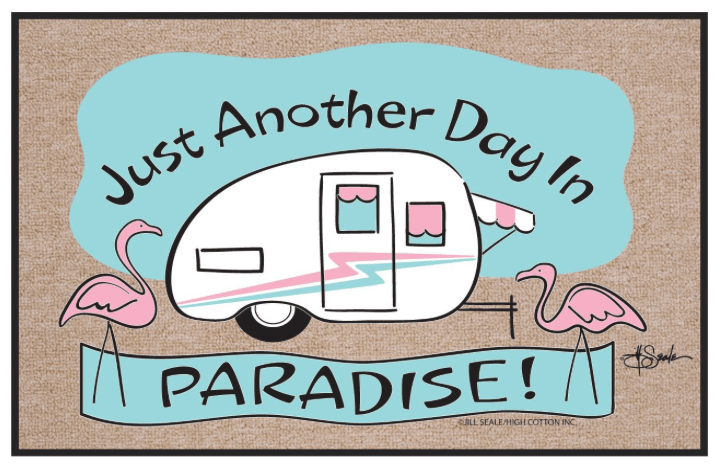 Oh goodness, we’re back in the RV galley again, but there are so many cute things out there to dress it up a bit. 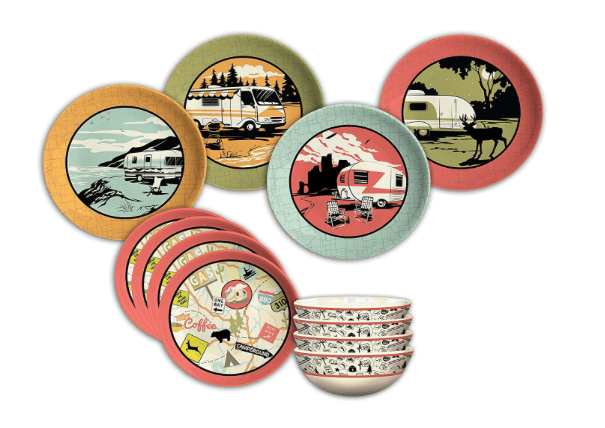 How about a set of RV decorated dishes, each with a unique (and inviting) camping scene?! 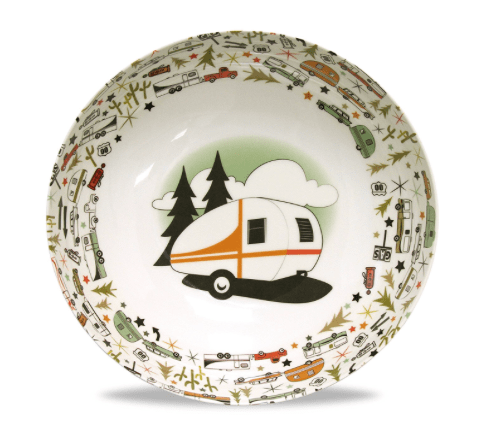 What a great dishware set for your travels! There’s also a very cool serving bowl (with serving spoons)! Okay, let’s get back to the practical stuff that isn’t decorated with adorable vintage RVs. 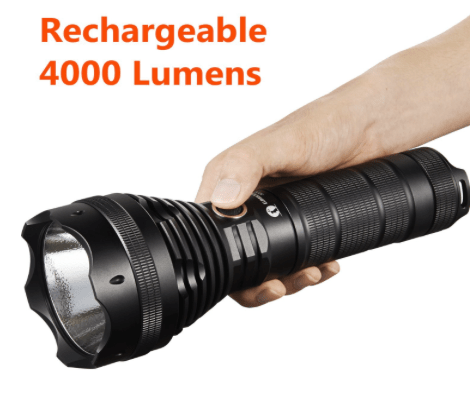 One “must have” in our RVing lives (and that we wish we’d had on our boat) is a 4000 lumen tactical flashlight. This thing is so bright it’s like holding a car headlight in your hand (check out my detailed review here). 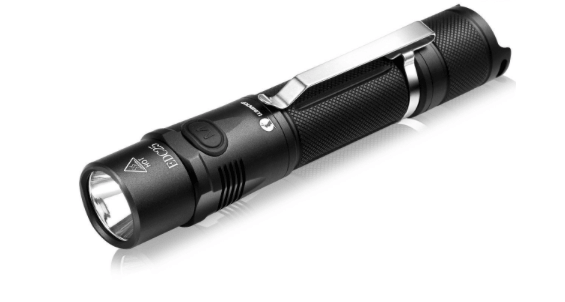 For the flashlight junkie in the RV. Mark is a flashlight junkie, so he has acquired two pocket flashlights made by the same company (reviewed here). He even got their tiny tool flashlight and their keychain flashlight! He loves them all. Flashlight junkies can never have too many flashlights! In the last year, Mark has switched all his battery operated goodies to using Energizer rechargeable batteries. Energizer brand has the highest amp-hour rating. Here’s an Energizer AA/AAA charging kit with 4 AA batteries and here are 4 AAA rechargeable batteries to go with it. Nothing says “love” like power tools, and the two we use most are our cordless drill and cordless impact driver. We use the drill to raise and lower the stabilizer jacks on the back of our trailer (explained in this article), and Mark uses the impact drill every time he changes a tire on either the trailer or the truck. I’d like to say that doesn’t happen too often…but unfortunately he’s changed a lot of tires since we started RVing full-time!! 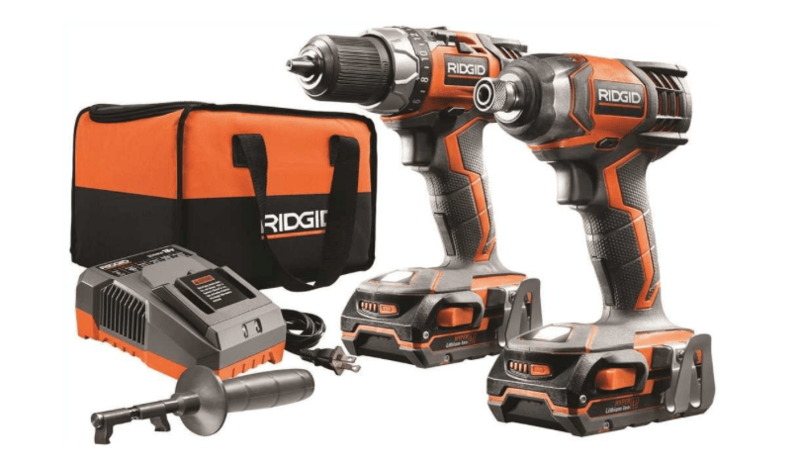 Cordless drill and impact driver set. We have this exact set and it gets a lot of use! Of course, the way to measure the difficulty of any RV repair job is by how many beers it takes to complete. Whether it’s a one beer job or a two beer job (or, heaven forbid, more! ), the job goes much better if the beer is cold right to the last drop. Mark LOVES his Yeti beer koozie and uses it every day! 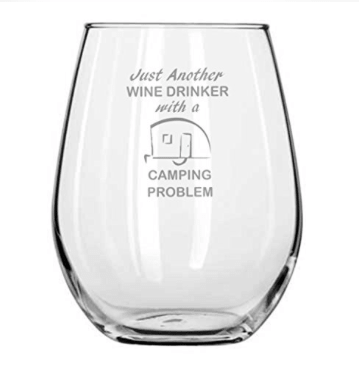 For the beer drinker with a camping problem! 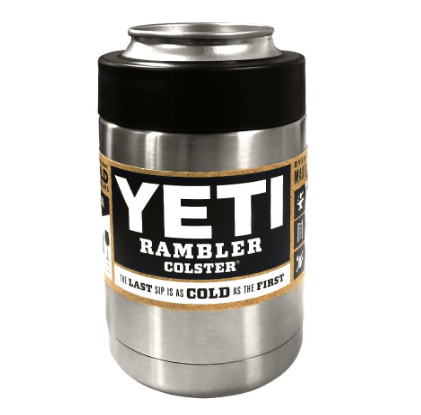 If you don’t need your stainless steel beer koozie to say “Yeti” on it, there are other brands that are much cheaper. 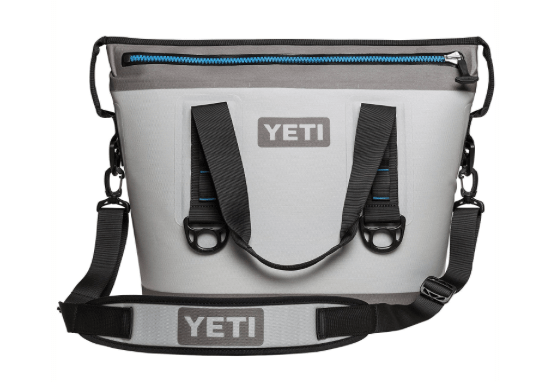 But Yeti is the name of the cooler game these days, and when we were camped with a bunch of ATV/UTV toy hauler folks recently, we were amazed to watch them all pack their side-by-side Polarises with Yeti soft-sided portable coolers before they headed out for a day on the trails. We saw lots of these getting loaded on Polaris UTVs in a toy hauler crowd! 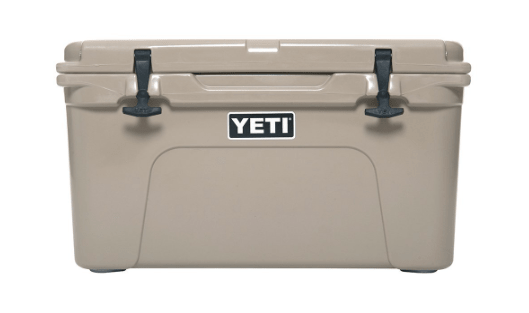 For those who have a smaller trailer and rely on a good quality cooler in the car or truck to supplement the small trailer fridge, the hard sided Yeti cooler is the top of the line. We didn’t have a Yeti but we used our cooler a lot with our popup tent trailer. Again, there are other cheaper brands. One of my favorite parts of the RV lifestyle is kicking back with a leisurely morning cuppa joe. My mug (a birthday gift from Mark) says “I love you,” but a pair of “Life is better in a camper” mugs would be pretty cool! 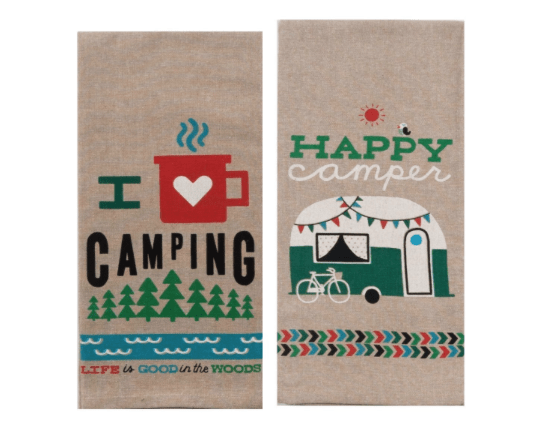 “Life is Better in a Camper” coffee mugs! 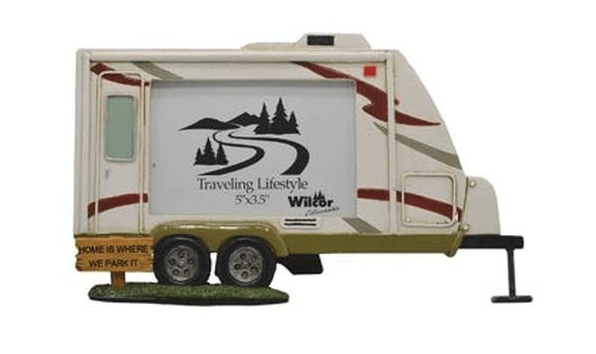 Retro trailers are all the rage, but there’s a coffee mug for motorhome lovers too. 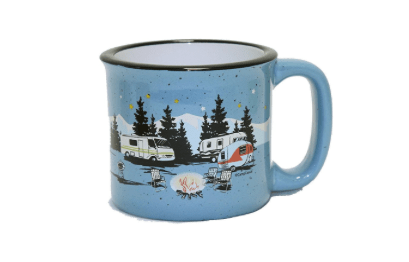 Motorhome camping scene on a coffee mug. This mug is also available as part of a set of four unique RV coffee mugs. If you’ve got kids or friends over at your campsite, and you’re looking for fun things to do, a party game might fill the bill. 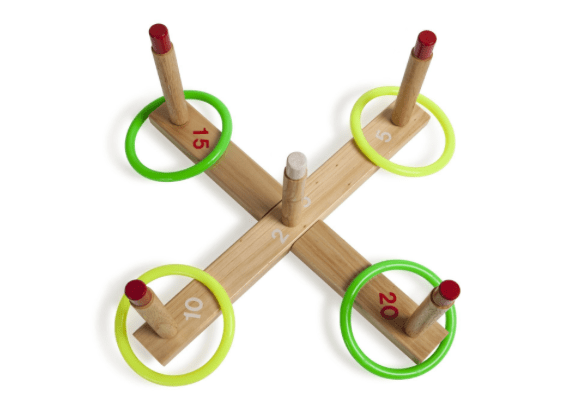 Corn Hole and Ring Toss are portable and easy to set up. Something fun to do at the campsite besides sit around the campfire! 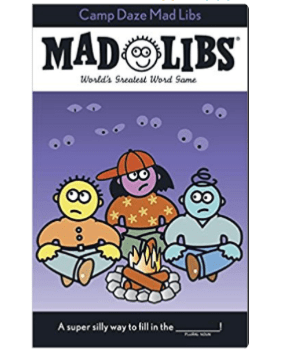 For families that get stuck indoors on a rainy day, a fun way for the kids to get some laughs and learn a little at the same time is to play the game Mad Libs. I saw this in a gift shop recently and remembered loving it as a kid, and I couldn’t resist buying it for my grandkids for Christmas (shhhh… don’t tell them!). If they haven’t learned the difference between a noun and a verb at school yet (and lord knows what the schools are teaching these days), this game makes it fun and easy to learn! Wondering if the kids/grandkids are learning anything in school? This is a fun (and funny) indoor rainy day word game. For the RVer who doubles as a bird lover. 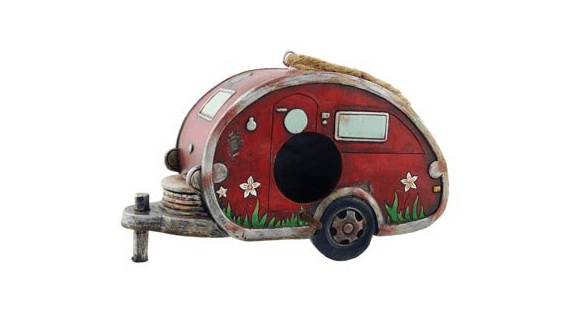 There are many designs of RV bird houses. We love to hang a hummingbird feeder from our RV, and we have a special one that mounts on our window with a suction cup mount. It’s a blast to sit inside and watch the crazy antics of these tiny birds as they duke it out with each other at the feeder. For anyone who enjoys photography, this kind of feeder is a hoot (blog posts about our humming bird experiences here and here). We hang a hummingbird feeder on our RV window with a suction cup mount. Speaking of photography, November and December are the best time of the year to buy a camera, as the deals get sweeter and sweeter. 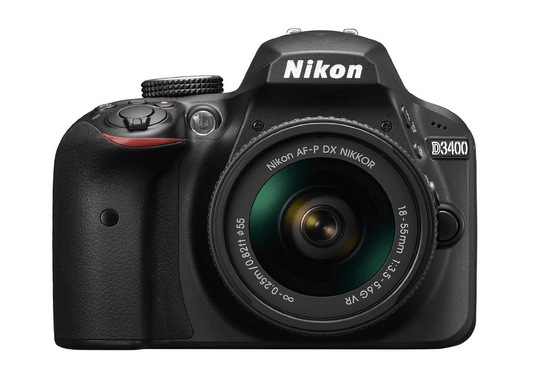 If a fancy new DSLR camera is on your wish list, now is the time (and as far as we are concerned, Nikon is the brand). Here are options for Beginner (Nikon D3400), Intermediate (Nikon D7500), and Newest Top Dog (Nikon D850). One of the very best deals right now is the Nikon D7200, an “intermediate” level camera. It’s been out a while, so it has come down in price, but it is the fifth the highest rated camera for landscape (dynamic range), rating below two pro Nikon cameras, a Hasselblad medium format camera and a Pentax (see here). November / December is the best time to buy a new camera. 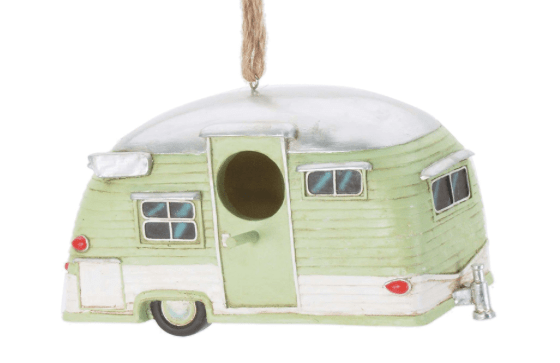 And last of all, whether you’re going to celebrate Christmas in your RV living room or in the living room of a stickbuilt home, why not decorate your Christmas tree with a little RV love?! 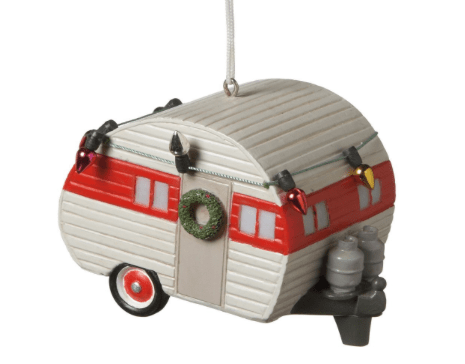 There are lots of RV Christmas ornaments available including this motorhome ornament and this trailer ornament. 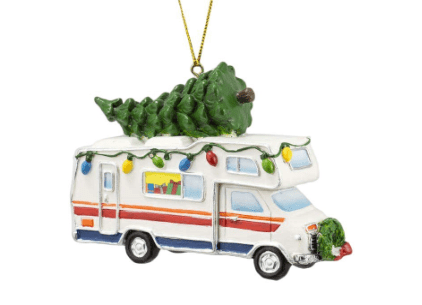 A motorhome Christmas tree ornament. A trailer Christmas tree ornament. I know it’s early to think about the holidays, and I was a little shocked to pass the fully stocked Christmas shelves at the back of Walmart yesterday, but I’m sure these goodies would be appreciated by your beloved RV (and/or by your beloved RVer) any time of the year. By the way, clicking on any one of these items and then buying whatever you need at Amazon helps us keep this site going. How does this work? Simply click on any image or link on this website that goes to Amazon before you start shopping (or bookmark this link), and then no matter what you search for and put in your shopping cart or wish list immediately after that results in a small commission to us at no cost to you. Thank you, and happy “window” shopping!! 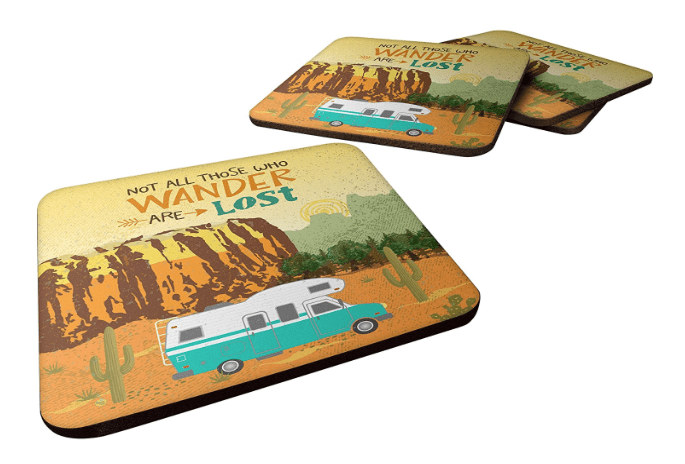 For MORE RV Gifts, see our post: 101 Great RV Gift Ideas for RVers, Campers and Outdoor Lovers! Some great ideas of some great items! 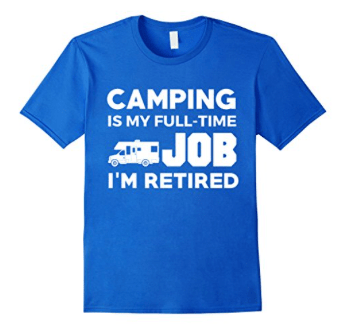 I may go out and get a camper just to have the nice things! I do like the radios. You should definitely get a camper, Pete. They’re so much fun. And the radios do come in handy. We keep them in the truck! I will just get the radios! And that set of pots and pans looked pretty hardy! I LOVE our pots and pans — easy to stow and good quality for cooking too. As for the radios, they sure get frequent use in our household. Even at busy events like Sturgis this year, we find they are very handy!! Nice article and great ideas. Some of the items I didn’t know existed. And you did all the research and work. I didn’t know if the hummer feeder would actually support and stay attached to the window so I passed on it recently and bought a hanging model. If it workes for you I think I will get one too. Thanks again for the thoughtful article. 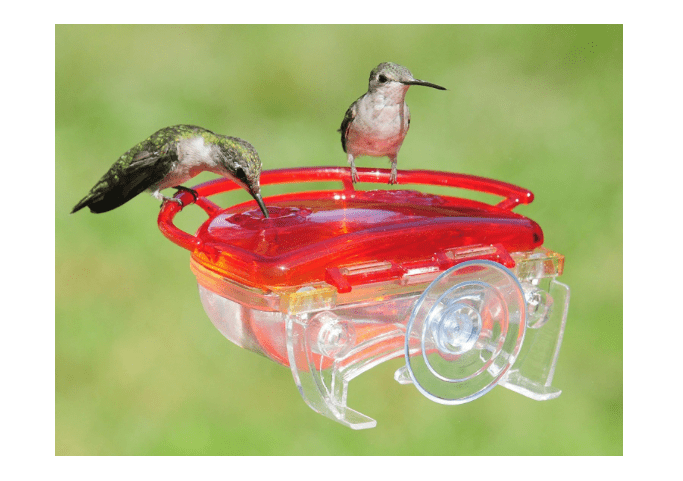 The suction cup hummer feeder is great. You can see ours in action here, here and here. It is shaped like this one. However, the one I show in this post will make it much easier to get great pics of hummers and it is well rated. Another good one is this (easy to clean) — on our list to buy in our next Amazon order! Thanks for appreciating the article, JR. This website does require a lot of work and out of pocket expense. Some articles take 70-100 hours to research and produce (this one took about 25) and there are many non-writing hours that go into maintaining it. But it is rewarding to put something on the internet that is inspiring and helpful to people. You’re welcome, Deborah, and I agree — there are some really fun things out there that I want for myself too! 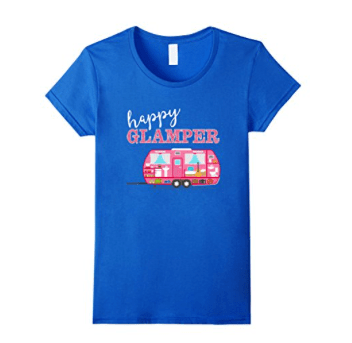 The most fun post yet – makes me want to be a HAPPY CAMPER !!!! Easy to do… remember how fun the popup was? !